One of the funnier aspects of media bias is the way that publications adjust the labels that they hurl at politicians or academics depending on the publication's agenda at a given time. An article in today's New York Times, for example, reports, "After the tax vote, House Speaker Paul D. Ryan canceled plans to raise money for a centrist New York Republican as punishment for opposition to the tax bill, a response that penalizes a member of the speaker's party just when help is most needed to win re-election." A "centrist New York Republican"? Ever since George Pataki retired and Michael Bloomberg became an independent, "centrist" Republicans were the sort of thing that I thought the New York Times found only in the Massachusetts governor's office, if anywhere at all. But all of a sudden, the concept of a "centrist New York Republican" is useful to the Times because it can make Paul Ryan look extreme in comparison. So lo and behold, a previously fringe New York Republican is magically transformed for the purposes of this particular Times article into one who is "centrist." Think I'm making this up? The Times doesn't name the Republican it is talking about, but a previous Times article, headlined "Paul Ryan Cancels Fund-Raiser for Lee Zeldin Over Tax Bill Vote," makes it pretty clear. Here's some previous Times coverage of Mr. Zeldin. A July 2015 Times news article describes him as a "firebrand," "caustic," a "Fox News staple," "ferocious," a "conservative" known for "strident hawkishness," "at the vanguard of conservative politics." The article reported that "Mr. Zeldin has taken votes that may prove challenging to defend in his moderate district, recently voting for a spending bill that cut spending for mass transit, and at one point opposing a measure to finance the Department of Homeland Security, because it did not block Mr. Obama's latest round of executive orders on illegal immigration." It quoted an opponent who accused Mr. Zeldin of "following the hard-right, Ted Cruz line." On Long Island, Lee Zeldin, the Republican incumbent in the First District, has emerged as a strong supporter of Mr. Trump. He gained national attention recently when he defended the presidential hopeful's attack on a judge in a lawsuit involving Trump University; Mr. Trump had said the judge was biased because he was Mexican, even though he was born in the United States. 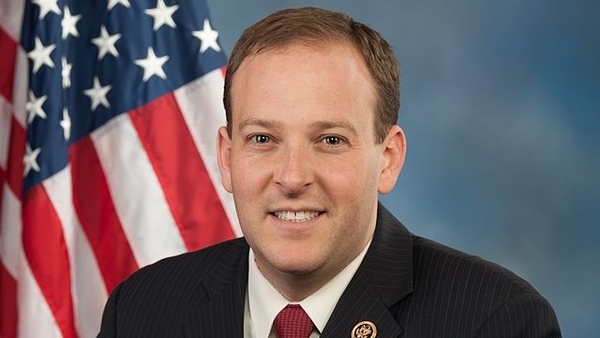 In defending Mr. Trump, Mr. Zeldin suggested that President Obama could be considered a racist because of some of his policies and statements. Neither the 2015 nor the 2016 Times article described Mr. Zeldin as "centrist." But now that Speaker Ryan canceled a fundraiser for the guy, all of a sudden Mr. Zeldin's a centrist? The replacement speaker for Ryan at the event was Steve Bannon. It's not that Mr. Zeldin has suddenly become any more or less "caustic," conservative, or centrist. He's the same guy he's always been. What has changed is the usefulness to the Times in describing him in one way or another to attack whatever target the Times wants to attack.